Blogging might seem easy to you in the beginning when you come up with topics you have never written on. But as time passes by and you take it seriously and professionally, following the trends for blogging becomes an integral part that just can’t be compromised on. Your target audience wants to know about what’s trending and your job is to show a creative side of what’s trending. But from where can you get the information? There must be sources to rely on. You have to open up your eyes, look deep down and research well to get the needful information. Google is the master whom you look up to for your blogging success. But just like a teacher gives you note for your examinations, Google also helps you in your blogging process with the Google Trends tool that can give you a sneak peak of what topics are trending and are being searched for. When you want to add a humour quotient to your posts, the best place to find hilarious jokes and memes is at Buzzfeed. Blogging content need not be strict and formal. Adding a tone of friendliness inspired from Buzzfeed is appreciated by most of the bloggers. 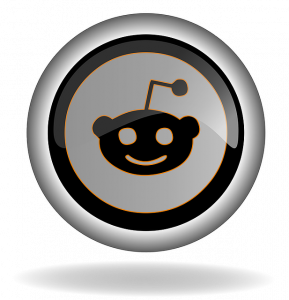 To know what topic is in trend, following the underrated site, Reddit is recommended. Bloggers will get to know the majority of a particular debate topic that she/he is focussing on. This way one can get the best insight as to what’s been the verdict that has been displayed on the homepage. The more we praise Quora, it will be less. It is undoubtedly one of the popular most sites where people can interact freely in a one to all question answer facility. 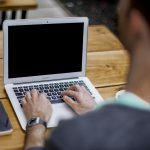 This way you can come across the mentality and variation in opinions from Quora that can help you write a flawless blog post. Last but not the least; Twitter has to be on the list that doesn’t require any kind of special mention. It’s all about what’s trending. Be it a subject of cultural, political, personal or any matter, Twitter is the best place that comes up with quick trending posts on their homepage. Not to forget, hash tags do play an important role. The perfect tool to find out organized data that has been trending or is trending is Topsy. Put in the date, time and place and you are good to go with a premium selection of keywords for your topic. That’s a tough tool to beat which is why Topsy stands true to its uniqueness. That’s like a box of goodies from where you can get happiness and the reason to smile. Yes, look upto these tools and sites and take good advantage of the information you get to impress your viewers. So, make the most of these when you blog and become a super hit blogger! Predicting the Future of Blogging!